The government of Saudi Arabia is lifting its ban on calls that are made through apps online such as WhatsApp and Skype it announced on Thursday. The move is part of its ongoing economic reforms, but a government spokesperson said it would censor and monitor calls. All online video and voice call services such as Facebook’s Messenger and WhatsApp, Microsoft’s Skype and Rakuten’s Viber, which satisfy the regulatory requirements of the kingdom, were readying to become accessible. Lifting this ban is part of the broader reforms of the Saudi government of its economy as a way to help businesses and to diversify the economy following the drop in prices of oil. A spokesperson for CITC the telecoms regulator said on Wednesday the new regulations were aimed at protecting the personal information of users and block content that had violated the laws of the kingdom. Asked if companies or authorities could monitor the apps, the government spokesperson said that under no circumstances could the user use the apps for voice or video calling without it being monitored and censored by the government’s Communication and Information Technology Commission and that included both local and globe apps. 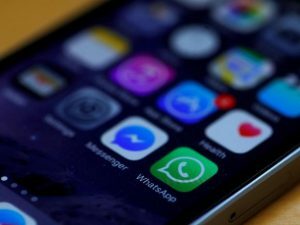 It was not clear how authorities would be able to monitor the apps like WhatsApp, which boasts that its messages are all supported by encryption from end-to-end, meaning the company is unable to read messages from its customers even if law enforcement authorities approached them. Internet communications are widespread but the Saudi government started blocking them four years ago, worried that such services would be used by different activists. Mass protests known as Arab Spring in 2011 were organized often times via the Internet, although Gulf Arab states, with the exception of Bahrain the island kingdom, mostly were able to escape the uprisings. The lift of the blocks by the government could impact negatively the three main operators of telecoms in Saudi Arabia – Etihad Etisalat, Zain Saudi and Saudi Telecom – which earn the majority of their revenues from international calls that millions of expats make who are living and working there. The CEO of Zain Saudi, Peter Kaliaropoulus said that some of the lost income would be recouped via expanding its data services. He added that the market in Saudi contained a big appetite for data that is faster and higher use data packages, and the opportunity exists to monetize that extra data use, which will partially offset losses in voice revenue.